Of course, the film is about Tom Pendergast and President Truman covers a wide-open era of Kansas City in the 1920s and 30s. 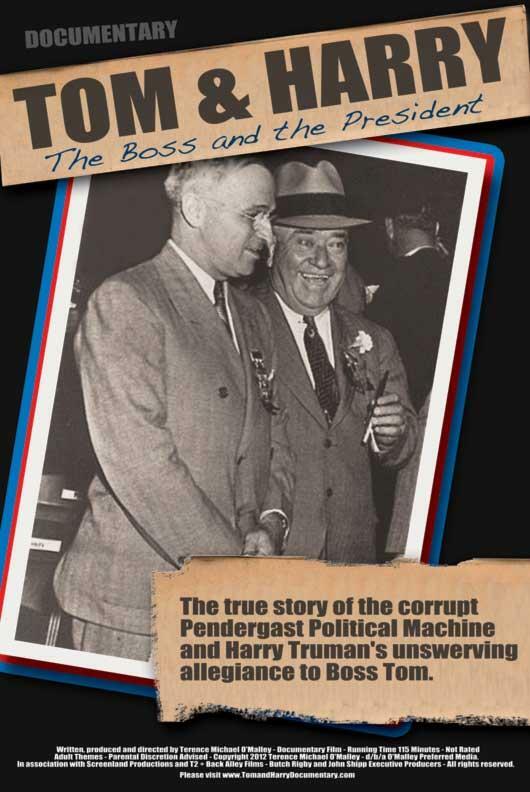 Truman's ties to the Pendergasts and the Pendergast Machine were long and deep. The amazing thing about Harry Truman? He never apologized for his association with Tom Pendergast. In fact, he stood defiantly with Tom Pendergast. In the second half of Monday's Up to Date, Steve Kraske talks with Terence O'Malley about "Tom & Harry." O'Malley also directed "Nelly Don: A Stitch in Time" and "Black Hand Strawman: The History of Organized Crime in Kansas City." Both were box-office hits when they were released.